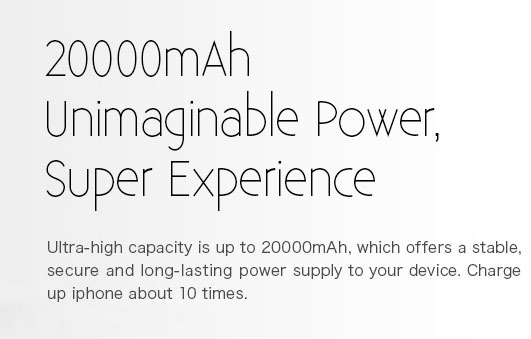 The reduction of time consumption by over 50% enables you to stay one step ahead of the competition. 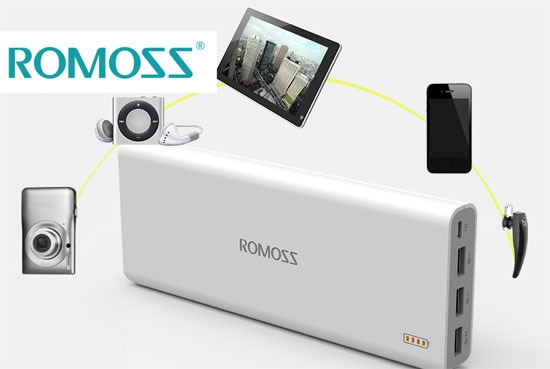 Simultaneous charging of the mobile power supply and devices contributes to convenient and time-saving operation. 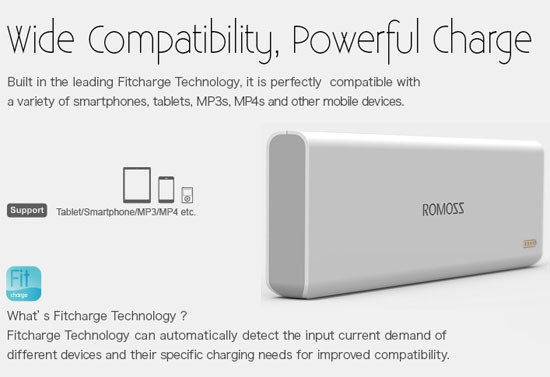 IR charger adaption technology provides compatibility with all digital devices with a 5V DC USB input. 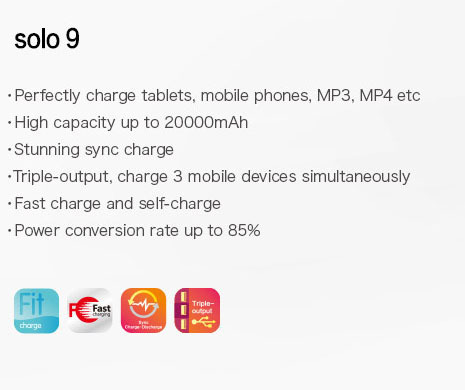 The capacity of the original Battery cells has been restructured; a conversion ratio of over 85% ensures high quality. 7 protection system will conserve energy, reduce the operating temperature, etc. To give you the highest degree of safety.